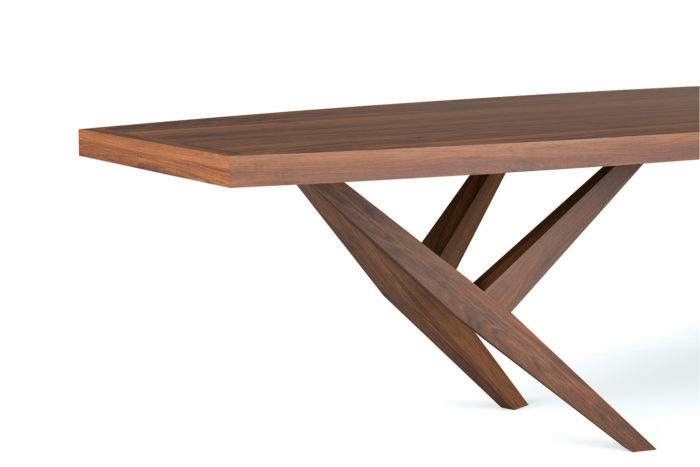 Here is another great looking modern dining room table from the folks at Belfacto of Germany. 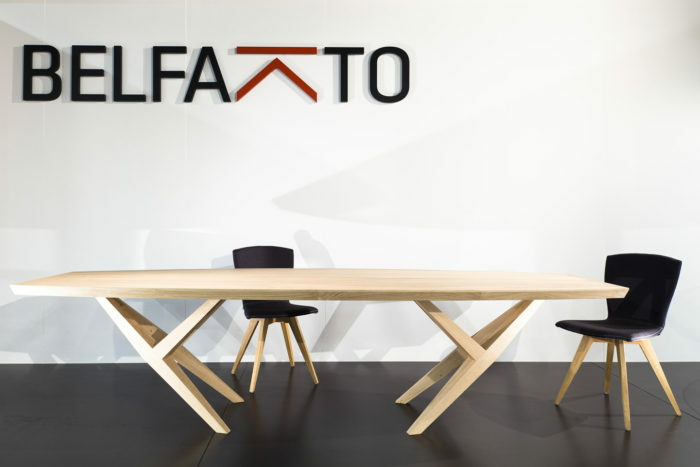 The recent winner of the Interior Innovation Award and the German Design Award keeps on coming with their series of tables that totally go against the typical four legs or center pedestal style that has been worked and reworked numerous times. 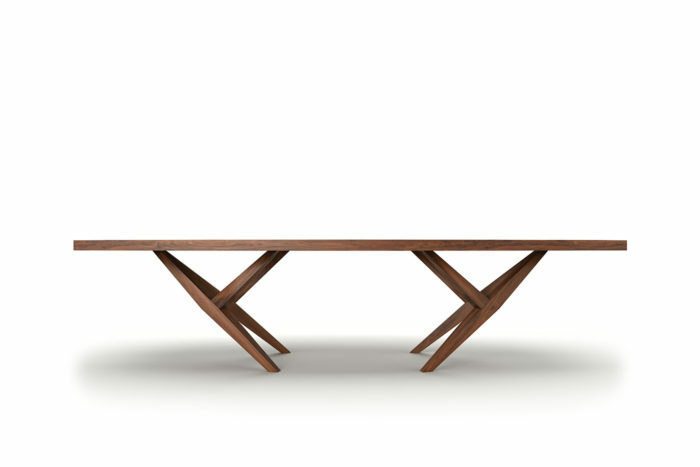 Here we see the York with an elegant sculpted base in a variety of woods including Walnut which is our favorite, Natural Oak or Natural Cherry. 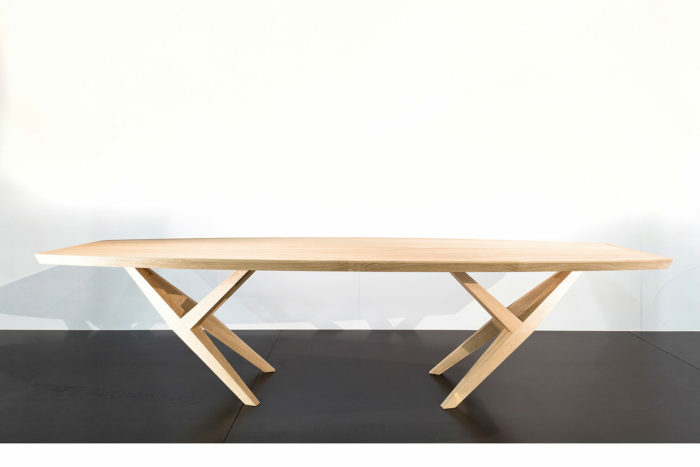 The designer really managed to give the table a fine balance and it has been described as a “tug of war” as each side seems to be pulling away from the other. 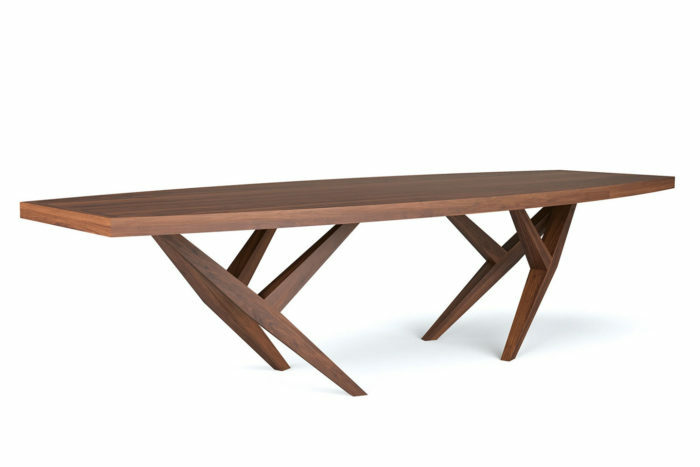 One key feature to any dining table is the usability factor and the placement of legs and support especially for the visually attractive ones can get more focused on looks than function. Often the people at the end have a support of some sort interfering with their position but the York addresses this poor design feature that so many style do not take into consideration. The sizing is as follows with top shapes of balanced, convex, oval, classicalso available. So what type of chair would you use with the York The all-natural wood construction makes us think a solid wood char with clean lines may be the best choice or even a leather chair with wood legs. Whatever you choose it has to be a design that will compliment and not take away from the obvious cool factor this one has. See more awesome and unusual styles here. Here is one style of chair but it is not a favorite, we think you can come up with a better solution! 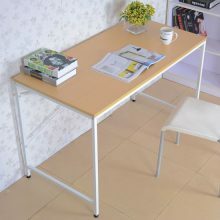 GUANGZHOU VEKIN FURNITURE CO., LTD. is one of leading manufacturers of home and office furniture for about 15 years. We possess a modern factory and modernized equipment. 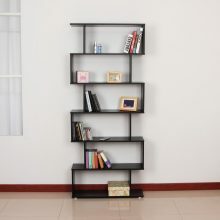 We also have factories of raw materials which helps to control the cost and quality. 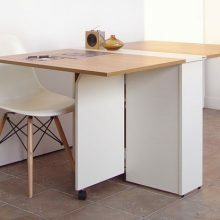 VEKIN’s products include office furniture, home furniture, simple style furniture such as computer desk, bookcases, shoe cases, wardrobes, sofa, etc.